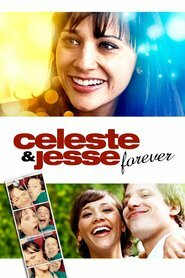 Overview… a successful young woman who runs her own media company, Celeste seems to have it all. Not only is her career in order, but she seems to be going through what appears to be the most amicable divorce in history. She and her soon-to-be ex, Jesse, remain best friends even in the process of splitting up. She says of Jesse that he “doesn’t have a checking account. Or dress shoes. The father of my children will have a car.” The ambitious Celeste begins to worry, however, that she may be losing sight of the one thing that truly matters in life. Personality… career-minded, driven, and intelligent. Celeste has a very specific image of what she wants her life to look like in 10 years. She spends all her time at work analyzing cultural trends in order to manipulate the media, but she can’t seem to find the will or ability to analyze the workings of her own heart. Celeste Martin's popularity ranking on CharacTour is #4386 out of 5,000+ characters. See our top-ranked characters and read their profiles.